Pleasant music, comfortable furniture and a spacious and welcoming reception area greets patients at All About Smiles dental office on Stoney Batter Road in Wilmington, just a quarter mile off Limestone Road. But the real difference in All About Smiles is Dr. Lewis Yu, a general dentist who has practiced holistically for more than 20 years. After earning his dental degree from the University of Pennsylvania, Dr. Yu completed two years of oral surgery training in the New York City Hospital system and the Hospital of the University of Pennsylvania. His education continued through coursework at the Las Vegas Institute for Advanced Studies, an international institution that integrates comprehensive diagnosis and contemporary techniques designed to improve the lives of patients and enhance professional satisfaction. “In order to truly heal a person, we must treat the body as a whole, not as separate parts,” said Dr. Yu. “Our job as health practitioners is to identify and remove the burden, so the body can heal itself.” With these principles in mind, he and his wife, Dr. Grace Liu, created All About Smiles as a unique general dental practice. Dr. Yu and his wife share a holistic focus on the whole body that makes their patients feel like members of an extended family. It’s also called biological dentistry, focusing on prevention and early treatment, not only for the mouth but also for the entire body. ‘Let the body heal itself,’ is the philosophy that incorporates expertise in traditional dental practice with understanding of the overall health of teeth and gums. It has been shown that 90% of pain in the body is muscular in origin. By starting with an appreciation of the neuromuscular system, a longer-term approach to oral and bodily health can be achieved. It is this ongoing appreciation for the patient’s overall health that separates All About Smiles from other dental practices. Visit www.AllAboutSmilesDE.com or call 302-239-1641 for more information. Throughout my life I have been passionate about caring for others. As a young girl, I volunteered; as a young woman, I had the honor of caring for my mother and my father; and currently, I am honored to hold the title of Mother to three beautiful boys! When I am serving others, my energy is endless, I never give up in my quest to make people happy, and my passion for life is contagious. My desire in life is to find a way to help as many people as possible and now, together with my staff, we are doing just that. When given a choice, most seniors prefer to heal and live independently at home. While caring for my mother and father, I encountered disorganized, unreliable, and at best, satisfactory help. Instead of relieving my mountain of responsibilities, it added to them! This frustration fueled my research for a better option for the seniors of Newark. When I discovered Age Advantage, I was impressed and inspired! This care model has raised the standards for home care in every community they have served since 1998. The seniors of Newark deserve a great home care and I am excited to share it with you! Ensuring safety, preserving dignity, and serving respectfully is our utmost priority! Quality care starts with a careful and meticulous hiring process, hiring only those that meet our high standards and who are truly committed to the families they serve. Our staff has a unique ability to match people with just the right caregiver; one who is compatible with our client’s care requirements, lifestyle, and personality. There is a perfect caregiver for everyone and we won’t stop until we find the perfect match! What really sets us apart is that quality care does not end there; we supervise, train, and support our caregivers and clients 24/7, 365 days of the year. We are detailed, involved, and always available when you need a helping hand or just a smile. 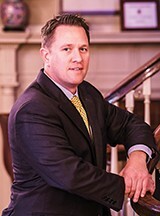 Kevin A. Copeland, D.O., F.A.C.C. has been a member of Cardiology Physicians, P.A. since July of 2014. He began his studies in Radiologic Technology after which he obtained a Bachelor of Science degree at Neumann University in December of 2000 where he graduated with honors. Dr. Copeland then went on to attend medical school at the Philadelphia College of Osteopathic Medicine. His post-graduate training in Internal Medicine took place at Christiana Care Health Systems Program from July 2006 until June 2009 followed by an additional year where he was nominated to serve as the Chief Resident for the Medicine Program at Christiana Care Health Systems. He began his fellowship in Cardiology the following year and was elected the Chief Cardiology Fellow from July 2012-June 2013. After completing his fellowship in Cardiology, he continued an additional year of fellowship with concentration in Interventional Cardiology. Dr. Copeland was born, raised and currently resides in Delaware with his wife Lori and their three children: Emily, Owen and Landon. In his spare time, Dr. Copeland enjoys spending time with his friends and family, going to the beach, traveling and both watching and participating in his children’s sports. He is an avid college football fan in addition to following the local Philadelphia sports teams. Gail M. Wynn, MD, FACS is a board certified general surgeon with a special focus on weight loss surgery and advanced laparoscopic surgery. She is co-founder of the Christiana Institute of Advanced Surgery (CHRIAS) and is also the Medical Director of Saint Francis Bariatric Surgery Center of Excellence. She has performed over 2,000 weight loss surgeries. Along with her partners, Drs. Irgau and Peters, she is committed to providing excellent surgical care and a comprehensive surgical weight loss program in a caring, compassionate environment. In addition to weight loss surgery, Dr. Wynn also performs advanced laparoscopic surgery and robotic surgery (surgery through small scars) of the abdomen, which allows for faster recovery times and less pain after major surgeries. She also performs breast surgery and abdominal wall reconstruction. Dr. Wynn did her medical training at Southern Illinois University School of Medicine where she graduated with honors. She completed her surgical training at the Medical Center of Delaware, and has authored numerous publications and academic presentations. She has served this community for over 16 years and takes pride in her very low complication rates and excellent outcomes. Dr. Wynn was voted one of Delaware’s Top Docs for Abdominal surgery from 2007 to 2011 by Delaware Today magazine. She was also voted Delaware’s Top Bariatric Surgeon from 2011 to 2015. The Saint Francis Bariatric Surgery Center of Excellence specializes in gastric bypass, gastric band, gastric sleeve and Biliopancreatic Diversion with Duodenal Switch (BPD/DS) surgeries. The convenient, flexible, completely personalized program was the first to be named a Bariatric Center of Excellence in Delaware. In addition to being accredited by the Metabolic and Bariatric Surgery Accreditation and Quality Improvement Program (MBSAQIP), Saint Francis is a Blue Distinction Plus designee from BlueCross BlueShield Association. If you are considering bariatric surgery, consider Dr. Wynn and the bariatric team at Saint Francis. 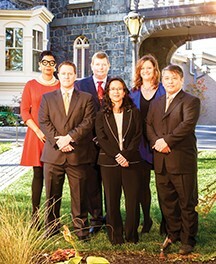 For more information, visit StFrancisHealthcare.org/Bariatrics or call 302.421.4121. Jacques Macq is a native of Brussels, Belgium. After attending hotel/restaurant school and finishing his apprenticeship in the Ardennes region he served in the Belgian Navy before working in Monte Carlo. He first came to the United States when he moved to New York City in the 1980’s and worked in such notable restaurants as Le Bernardin and Provence in SoHo. Continuing his world travels, he then worked for Michel Rostang in Santa Monica and at Alain Chapel in Mionnay, France before settling in the Caribbean for the next eight years – first in St. Martin and then the Cayman Islands. It was during this time that he became a protégé of noted Beaujolais winemaker Marcel Lapierre who was a pioneer of biodynamic French winemaking. After returning to the United States, he was sommelier at the Dilworthtown Inn before becoming a wine sales representative for Regal Wines and Monsieur Touton Selection. He spent 7 years as Dining Room Manager and Member Services Manager at the Wilmington Country Club. In May of 2013, he opened Bistro Jacques on Lincoln Street in Wilmington, where he won many Best of Delaware and Readers’ Awards including; Best Wine Bar, Most Romantic Restaurant, Best European Dining Experience and a ranking of #2 Wilmington Restaurant on Trip Advisor before closing this past May. Jacques came on board at the historic University and Whist Club as the Managing Director back in September. The University and Whist Club is a private dining club that has provided superior food, beverage and service to its Members in the historic Tilton Mansion for nearly 200 years. Since taking the helm, Jacques and his team have been rebuilding everything from the wine list to the Membership base, renovating the kitchen and redoing the menu. Established by a group of Wilmington business leaders, the University and Whist Club is located in a prestigious and historic section of Wilmington, Delaware centrally located minutes from downtown Wilmington. Membership information is available by calling (302) 658-5125 ext. 107 or by visiting www.universityandwhistclub.com. A Captivating Career Takes Your Breath Away! Joyce Dungee Proctor is a leading career development strategist, keynote speaker, certified career coach, author and mentor whose mission is to challenge and inspire individuals to make the transformations necessary to achieve their purpose and attain their destiny. Joyce has been providing professional services in career and executive coaching for more than 25 years. A Captivating Career with Joyce Dungee Proctor, works directly with executives and professionals, helping them to “take the limits off” and create a career that takes their breath away – while earning what they deserve. Joyce is also the founder and president of Seminars by Joyce – The Total You, Inc., a full service empowerment firm that specializes in a blend of speaking and executive coaching services developed during her years of experience in leadership, management, sales and human resources roles. Her mission is to support, inspire and coach people to achieve success by offering services that are customized to meet the unique needs of every client and audience. She has coached thousands of individuals on their careers, drawing from her diverse experience as a district manager, senior market manager and managing director. She uses the proprietary system, “The Ultimate Career Coaching” method, which is a super-powered coaching formula that’s been featured on CNN, NBC, the Wall Street Journal and the Washington Post, to name a few. Joyce’s clients are unemployed, under employed, working and worried, or are experiencing career transitions. They look to her for direction, support and to design the blueprint to get them to where they ultimately want to be. Her book, Take the Limits Off: Nine Ways to Stop Talking and Start Doing, offers a simple, elegant way to self-empowerment. Her most recent book, The Breakhrough Book, is a personal writing tool to get you where you want to go next. We would like to thank the management of the University and Whist Club for sponsoring our Profile Photo Shoot this issue. What a beautiful location for our shoot. Explore the long-standing history that has made the University and Whist Club Delaware’s premier fine-dining membership club. Let the historical elegance, rich history and sophisticated ambiance of the University and Whist Club be the backdrop to your next special event. From private parties to business luncheons and wedding receptions the Club is available to members and non-members alike and will delight you and your guests with its unique touches of individuality. The smartly appointed rooms of the University and Whist Club can accommodate up to 150 people for wedding receptions and up to 200 people for banquets and hors d’oeuvre receptions. The University and Whist Club also offers private dining rooms for smaller groups and a more intimate atmosphere. Start planning your next event with the University and Whist Club. Located at 805 North Broom Street in Wilmington, Delaware.